So the “muuuum I want a dog!” tactic didn’t work for you? Apparently that didn’t get across just how much thought and effort you’ve put into picking the perfect dog. Oh wait, you haven’t done any research? This article will explain just how to overcome your parents’ concerns and fears so that YOU can have the dog you’ve always wanted. Although begging works well for dogs, that tactic isn’t going to be as effective for you! 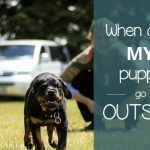 IF you are actually serious about getting a dog…SHOW THAT TO YOUR PARENTS!! You can’t simply whine for a few days and hope that that ends up with you getting a new pooch. When your parents hear the word “dog” they’ll probably think “expensive, time consuming and all-round nuisance”. Before bursting into your parents room demanding you have a dog, take some time to think things through. Try and put yourself in their shoes and understand why they think a dog would be a bad idea. 5.2 How do we train a brand new dog? 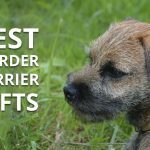 To show that getting a new dog isn’t just something you want now but will have lost its appeal in a few weeks, you’re going to need to prove it. 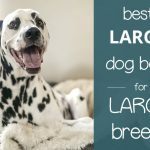 Find out which dog would be the ideal breed for you (check out the “dog breeds” section for great guides!). For example, if one of your family has a dog allergy, check out some hypoallergenic breeds. Some families don’t have time to take their dog on a long walk every day. If that’s the case for you then get a small dog which doesn’t require as much exercise. Or maybe you know your parents HATE hoovering. How about a dog that won’t malt? Showing your parents why the breed you’ve picked is perfect for them can REALLY make the difference. Something else you need to find is somewhere for the dog to go when you’re on your hols. Are there some kennels nearby? Or, even better, do you have a friend who LOVES dogs but just doesn’t have the time to keep one all the time? Ask them if they would take care of your dog every now and again and see what they say. Doing some basic research will show your parents that you’ve actually put some time and effort into why you should have a dog. 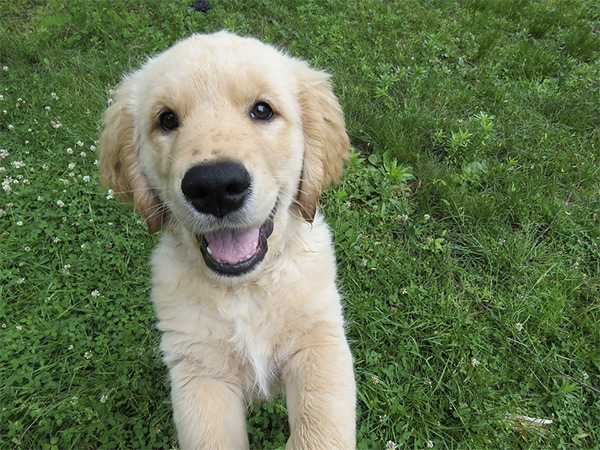 One of the best ways to convince your parents into getting a dog is to offer to do some dog walking or dog sitting. There are plenty of people (you definitely know some!) who would love to pay you to walk their dog every day for a week. If you’re in your summer holidays or a half-term break, this could be the perfect opportunity to show your parents that you are willing to not only talk the talk but walk the walk (literally!). It also has the added bonus of getting paid for your troubles. 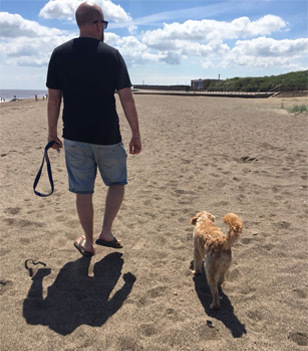 An even better way is to offer to have someone’s dog for free whilst they’re on holiday (please, please, please have your parent’s PERMISSION to do this!!). Who knows, your parents may fall in love with that dog so much that they want one! Which will save you the trouble of having to convince them! One of the biggest barriers of getting a dog might be that your parents don’t know what they’d do with it. To solve this problem, work out a plan of a daily routine of what will happen when and where. You’ll want to include when you will walk it. When it will be fed. When and how you will train it, and any other things you think your parents may be worried about. You could even make a contract. By agreeing to do a certain number of walks per week your parents will be far more likely to agree to getting a dog. Don’t just bombard your parents with why getting a dog will be great for you. Tell them how it will benefit them as well. Maybe your parents need to get out of the house more. A dog fixes that. Maybe you have a little brother who gets lonely. A dog will fix that too.Talk about all the different uses for a dog. For example, did you know that some dogs can be trained to help people with Type 1 diabetes? The dog can sense when their blood sugar levels are off and alert them. 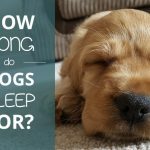 Learning a few different uses of having a dog could be the key difference to being allowed one. Finally, and maybe most importantly, work out why your parents don’t want a dog. Then tell them why they’re wrong. (A really good way to find this out is just to ASK THEM!). Perhaps the most common reply is “no darling, we can’t afford it”. And that’s that, no dog for you. But you shouldn’t let that excuse stop you! Suggest adopting over buying. Buying a dog IS expensive. There’s no denying it. A thoroughbred puppy could cost as much as £1000! Adopting a dog is a different story. Whilst it isn’t free (usually costs around £25-£50) it IS considerably cheaper than buying. Another benefit of adopting is that your new dog could come ready trained and ready spayed. That saves you A TON of money and time which you would have spent. (It also gives an abandoned dog a home. And that’s SUPER important). You can also offer to forego pocket money to help pay for it. Or even provide half of the money yourself (this option probably isn’t going to work for everyone – did I mention dogs are expensive?). If you’re old enough, get a job, mow the neighbours lawn. Anything that could get you some money to go towards your new pooch. How do we train a brand new dog? Again, this is where RESEARCH comes into it. 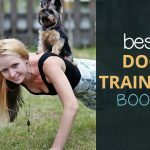 We have an article on great books for dog training. Even if you just type into google “dog training for beginners” there’ll be loads of great stuff. As you can see, with a bit of thought and determination, convincing your parents that a new dog will be the best thing EVER really isn’t too hard. If you’ve followed these tips and your parents still won’t budge, try writing them a letter. Or do a presentation. Outline EXACTLY why you want a dog and why they need one. Also, remember to PROVE that you are prepared to put in the hard work needed to keep your dog happy and healthy. So, GOOD LUCK and enjoy your new dog!